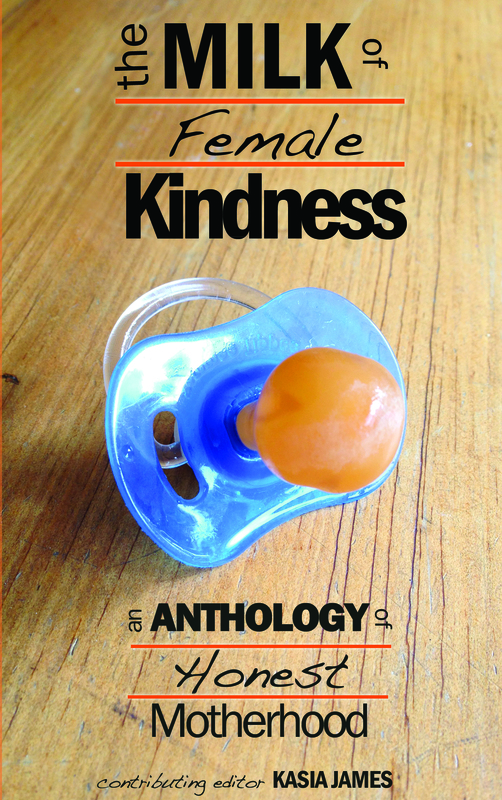 Sandra Danby emailed me and asked if I would like to review The Milk of Female Kindness: An Anthology of Honest Motherhood by Kasia James (Contributing Editor). I responded “… be happy to… given the theme which is close to my heart also”. Of course. I have been around mothers my whole life. Many of my family, friends and colleagues are mothers. But my reactive assumption of familiarity with the subject was way off. It amounted to: I’m a woman; a Sagittarian, ergo I value honesty above all else; and my mother gave birth to me. Reading the The Milk of Female Kindness contributions was eye-opening. It was like reading science fiction – women but another life-form, inhabiting a planet unfamiliar to me. A colleague years ago shared the details of her entire pregnancy with our little office clan but that’s far different to what comes later. She resigned to take on a new role of full-time mum. She may as well have left the country as far as those of us who remained were concerned. Mothers who know me well don’t hand their babies to me but regard me kindly, reading the trepidation in my eyes. We don’t talk about mothery stuff, so I can’t even say what kind of honesty I was expecting from The Milk of Female Kindness. The truth it revealed is how disengaged from motherhood I am as an adult. As a child, I still shed tears when I hear of someone similarly motherless. My best friend Mrs S. only occasionally regales me with anecdotes about her mother but until now I never thought about it. Am I not included, or do I not participate, in those conversations because of their inclination to be one-sided? My mother died when I was five has been known to be a conversation stopper. While I read The Milk of Female Kindness, I doubted my ability to write a fair review. I tender a few lines from a poem I wrote many years ago by way of explanation. I need to think about it more, and read The Milk of Female Kindness again. Is nature, nurture or society the reason for my lack of engagement? There are clues. It’s an anthology everyone should read, whether it supports or challenges our thinking. The experiences, insights and mode of expressing them in The Milk of Female Kindness are varied. I received a complimentary e-copy of the The Milk of Female Kindness: An Anthology of Honest Motherhood for this review. This entry was posted in Blog and tagged anthology, Australia, book review, daughter, family, milk of female kindness, mother, motherhood, women. She’ll be apples, mate – Right? A blow to any child to lose a mother. Maybe less of a blow at an age where they haven’t really developed a knowledge of her and find it difficult to bring her image to mind.? Maybe it’s more of a blow to miss out on having those feelings an images? Whichever it is I can understand how disengaged you were from some of the stories in this book after losing your Mum at such a young age .I feel for you missing the experiences most of us take for granted though obviously it hasn’t stopped you becoming a well rounded adult. ( Not a reflection of shape honestly). Thank you David. You described both sides of the motherless coin aptly. I don’t know. I’m not sure it was what you were expecting. It certainly surprised me. I don’t mother at all. My thoughts about what kind of vacuum is left when mothers die are ambivalent. I know I would feel differently about the death of my Dad who has managed to surprise everyone, including himself, by attaining 70 plus years, than someone who lost their dad early. There lies the value of an anthology – company and a smorgasboard of food for thought. I can’t read your comment without tears welling in my eyes… so the massive hugs are much appreciated. And you are right. It’s important when someone dies, at any age, that we speak of them, tell their stories, because in that way they live on but in a different form. Yes! To me, that’s the only immortality that’s certain – just a bit of love. “like reading science fiction – women but another life-form, inhabiting a planet unfamiliar to me.” Now that’s a call to stop reading and pause. Perfect comparison. The picture and the poem are that misty haunting perfection – nicely written and felt. Also tend to “lack engagement” as my mother didn’t really like me and iI knew it – but may will check out the book…as your final quote says maybe it’s time. Thanks for the prod by post. Thank you. I think all relationships regardless of if the person is present, absent and how, take some negotiating… and lack of engagement is a safety-net. It makes sense to distance ourselves from that which makes us uncomfortable, or terrain we’re uncertain to navigate. Sometimes things unravel for the better when we poke at them, sometimes not, and we leave them be again. Thank you for your honest evaluation and revelation of another experience. Your poem is very evocative and adds a very important quality to this review. I think the author picked exactly the right person to review this book! I have seen very close tragedies of abuse and untimely death of a child, so that, alien though Motherhood may seem to you, there are worse things one can experience. I say this in hope that it might be a comfort, but perhaps there is none. Hugs to you. Thank you – I have been processing-prevaricating writing the review/post but it was either this or not at all. Agreed, I’ve always taken comfort in that I didn’t succumb to expectations… pressure to have children, not even when my first father-in-law offered cash & jewellry in exchange for a grandchild! I know of both sides – parents for who the role is truly a bad fit, and children affected by it. EllaDee, I had no idea you lost your mum so young. I can imagine how it might be a conversation stopper for many, but not for me. I’m someone who would say, “please, tell me about it if you’d like, or not. It’s up to you.” I usually stop conversations when people ask if I have kids and I tell them I couldn’t have kids. However, I do still have my mom (who is currently struggling with her health). I hope that you were able to express your feelings about losing your mum so young at some point over the years. Hugs. Thank you. As I don’t have kids, by choice, I don’t find it unusual others don’t either but when it’s not by choice then I really feel for the person because despite the old adage ‘you don’t miss what you never had’, you do indeed. Hi Ella, Thanks for you review – it sounds like we may have brought up some pretty uncomfortable sensations, so I hope the book wasn’t too upsetting. However, one of the main aims was really to get people thinking about motherhood in a new way, so I’m really glad that we managed that! Your comment “It was like reading science fiction – women but another life-form, inhabiting a planet unfamiliar to me,” absolutely rings true. I delayed having a child for a long time, and found it a very different experience to what I expected. Partly having a bub, but much more the way that people started to treat me differently. I suddenly felt as if in putting me in the ‘Mother’ box, in other people’s eyes I had dropped 50 IQ points, and developed a consuming interest in nappies and shopping for the nursery. Although this huge change had happened in my life, it was somehow not acceptable to talk to people without children about that change, which is a society construct I think as much as anything else. All of which, of course, gave me the anger and passion to start compiling the book! Thank you – the process of reading The Milk of Female Kindness was bewildering rather than upsetting. What I thought I thought wasn’t it at all. And in the end it was enlightening. I probably won’t change but I feel better having shed those few illusions and being somewhat more aware. Another review of the anthology I was recently included in, The Milk of Female Kindness: An Anthology of Honest Motherhood. A very honest review. The cover, what Australians call a “dummy” on the floor, may reflect the phrase “spitting the dummy” meaning “to baulk at, get angry about, or simply, obstinately refuse to do, something” but isn’t widely used in the US – “spitting the pacifier” doesn’t have the same ring. Certainly I think more women, for whatever reason, are making deliberate choices about various aspects of motherhood, which can only be a good thing. No, not the same ring at all! Well, you know I spend part of the work year in England and find that although we Americans are close to and allied with the British in many ways, we’re aligned with their culture much less than I thought. So it stands to reason, same with Australia. And quite right about women’s awareness regarding motherhood. So many women are pushed to it via societal training when they’re not cut out for it at all. Curtailing that will nip so many abuses, suicides, etc. in the bud. Interesting for you to get that cultural exposure. I think Australia is influenced by the US and UK, Asia… we’re a melting pot, but of course local expressions tend to be exactly that. Hopefully the future will hold a nice balance of supporting parenthood choices for both those who do and don’t, or who do and then don’t. I believe it’s unfortunate we’re moving away from “it takes a village to raise a child”. 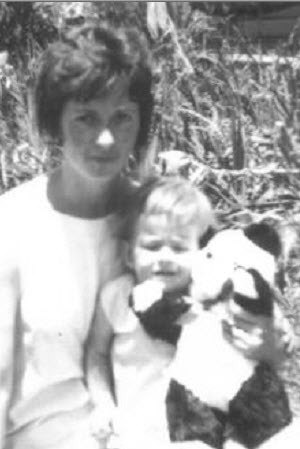 I cannot imagine what it must be like to go through childhood without so much as a memory of one’s Mother, EllaDee. It’s bound to affect how one views the World, for it has given you a perspective different from most others. Your book review reflects that and, if I were its author, I would welcome your thoughts and comments. Thank you. I have a few snapshot type memories… many connected to food, always close to my heart 😉 There are times I feel like I’m living things Mum wasn’t able to, and feel her presence. I think our mothers never truly leave us. EllaDee,sounds like an intriguing read. I love how you personalize the review like you did. It makes it stick with me far longer than any other book reviews. I’m so sorry you lost your mom at such a young age. Thank you. I had it in my head that I had to write a ‘proper’ review but I just couldn’t. So I went along ith the theme of honesty. Brave and honest. I am sure your Mom would aprove. You Dad clearly did good. Thank you. The reading and review experience was interesting, it enlightened me to the extent I hadn’t particpated. I underdstand the reason for why it’s not possible but sometimes I just wish there was a way I could fix the typos caused by my wayward typing style when commenting on other posts.